After millions of migrants moved from China’s countryside into its sprawling cities a unique kind of ‘informal’ urban enclave was born – ‘villages in the city’. Like the shanties and favelas before them elsewhere, there has been huge pressure to redevelop these blemishes to the urban face of China’s economic vision. Unlike most developing countries, however, these are not squatter settlements but owner-occupied settlements developed semi-formally by ex-farmers turned small-developers and landlords who rent shockingly high-density rooms to rural migrants, who can outnumber their landlord villagers. A strong state, matched with well-organised landlords collectively represented through joint-stock companies, has meant that it has been relatively easy to grow the city through demolition of these soft migrant enclaves. The lives of the displaced migrants then enter a transient phase from an informal to a formal urbanity. This book looks at migrants and their enclave ‘villages in the city’ and reveals the characteristics and changes in migrants’ livelihoods and living places. 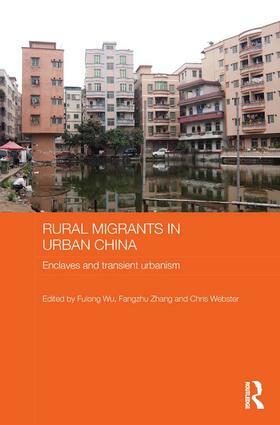 Using an interdisciplinary approach, the book analyses how living in the city transforms and changes rural migrant households, and explores the social lives and micro economies of migrant neighbourhoods. It goes on to discuss changing housing and social conditions and spatial changes in the urban villages of major Chinese cities, as well as looking into transient urbanism and examining the consequences of redevelopment and upgrading of the ‘villages in the city’; in particular, the planning, regeneration, politics of development, and socio-economic implications of these immense social, economic and physical upheavals.